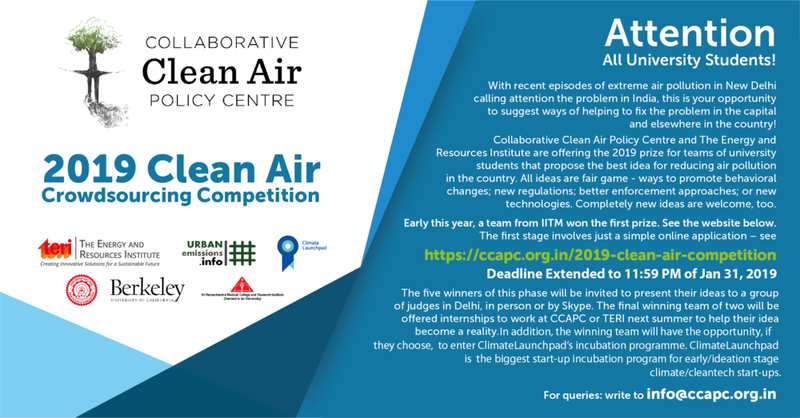 CCAPC/TERI solicit novel ideas that propose ways to reduce the scale and impact of ambient air pollution in India. Innovative entries within or across the spectrum from technological, regulatory, and behavioral angles are encouraged. Entrants should consider the problem of ambient air pollution in any part of the country and from any source as well as the problems in Delhi. For complete rules, please click here. Having trouble with the online form? Email us to request a Word-based version. Thank you for your submission to the Clean Air Crowdsourcing Competition!